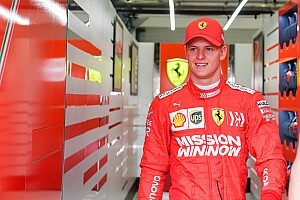 Leclerc had already raised eyebrows before setting the fastest time when he shot to third with an impressive-looking lap on the harder C2 compound while his rivals ran the red-walled C4 and C5 tyres. His 1m17.253s effort was good enough for third at the time, before he used the C4 tyre to lap in 1m16.949 and go second. 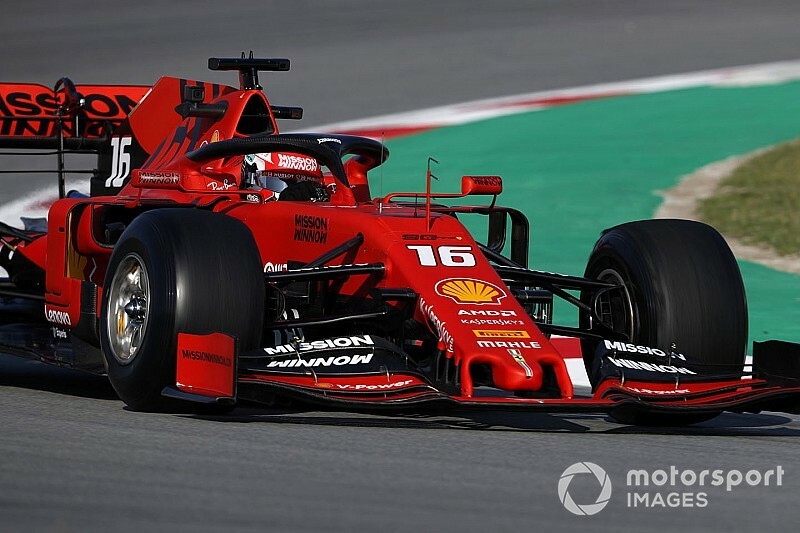 Leclerc then moved to the top spot with a 1m16.658s effort on the C5 compound, despite his lap tailing off slightly in the third and final sector. He the improved the time twice more, first by three tenths, and then settling for a best lap of 1m16.231s in the final minutes. 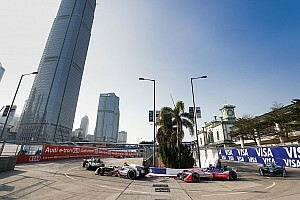 Leclerc deposed Alexander Albon from the top spot and the Ferrari driver's total of 54 laps was a welcome boost after completing just one lap yesterday afternoon. Albon had previously been swapping fastest laps with Lando Norris, who's McLaren team set the pace on Wednesday, before finally edging ahead with the first 1m16s lap time of testing. The Toro Rosso driver's eventual time of 1m16.882s came on the softest C5 compound after gaining nine thousandths of a second on his old benchmark in the process. Norris did not respond to Albon's final time as McLaren focussed on longer runs, meaning he ended the morning third with a time of 1m17.084s and 64 laps in the bag. 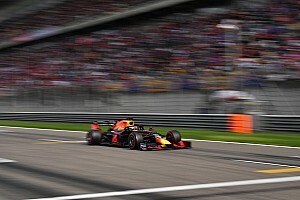 Red Bull moved away from its regular C3 use to allow Pierre Gasly to undertake performance runs on the C4 and C5 compound after a morning that included running with an aero rake attached. His best time was just 0.007s down on Norris and was set mid-way through the session. 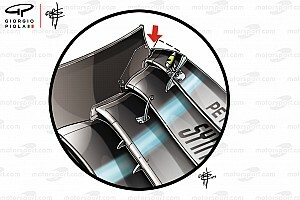 Nico Hulkenberg was fifth for Renault as his team measured its wing flex during the early running and the German also ran on the lesser-spotted C1 compound late on. Racing Point once again struggled to rack up the laps with just 37 completed, the lowest total of the 10 teams. Lance Stroll's best time of 1m17.556s was however good enough for sixth. 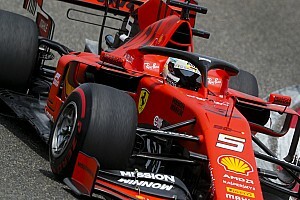 Alfa Romeo's Antonio Giovinazzi took seventh ahead of Mercedes' Lewis Hamilton, and his morning was disrupted by his car stopping at pit entry inside the final hour. Mercedes completed performance runs for the first time in testing early on before Hamilton's focus switched to long runs that showed impressive consistency. He was shuffled down the order into eighth with a best time of 1m18.097s and completed the most laps with a total of 85. George Russell had admitted early this week that Williams had not fully come to terms with the C4 and C5 tyre, but improved throughout the morning using the two compounds. Inside the last 20 minutes, he was able to move off the foot of the timesheets with a lap of 1m18.130s on the C5 tyre after the FW42 spent the early running fitted with a noticeably large aero rake. Like Mercedes, Haas also completed lengthy runs on the harder compounds and Kevin Magnussen ended the morning with the 10th-fastest time and 53 laps in the bag.